Trying to figure out what to include on a save the date? Help your guests plan for your big day by including these five points. 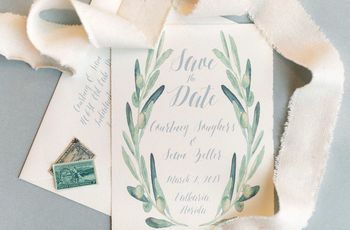 The time has come to kick the wedding-planning process into high gear, starting with figuring out what to include on your save the date (how exciting!?). While your impending wedding might already feel as real as can be, this step makes it just as real for your wedding guests. Not only will they put it on their calendar, but they may even start making some arrangements to ensure they’re able to be there. They’re typically sent out between 6 to 8 months or so before your wedding date, although they can be sent out earlier if you happen to be particularly organized and on point! While they’re meant to be simple, there are some important bits of information when it comes to what to include on the save the date. 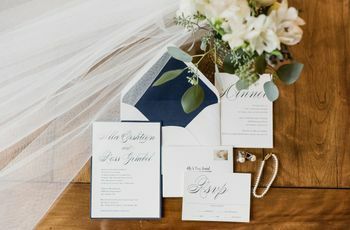 On the contrary, however, there’s no need to go out of your way and include pretty much every detail you’ll have on your wedding invitation, which you’ll send around three months before your big day. Here, wedding planners reveal the dos and don’ts of what to include on your save the dates. Whether or not you’ve already selected your venue, there’s no need to feel pressure to include it in your save the date (although of course you can if you choose to!). Just providing a city and state is sufficient for save the date purposes. This is why you’re sending a save the date in the first place. “Make sure it has the date of the wedding day on it, and, if you are having a celebration for the weekend, make sure it is clear when the ceremony is,” says Keenan. This early in the wedding-planning stages, there’s no need to have your timeline in place in terms of specifics (like the time of your ceremony and/or reception). “The save the date is more for them to secure the day than a specific time,” says Keenan. Most wedding planners recommend waiting to look at save the date ideas until your wedding website is up and running. 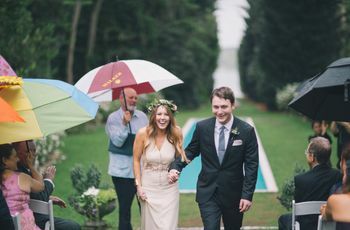 This way, wedding guests can get to know you a little better as a couple (if they don’t already, of course), and become familiar with the type of wedding you’re planning on having. “This is where all of the details of your wedding are going to live, so it's good to send people there as early on as possible,” adds Weinberg. 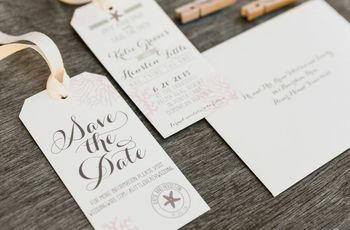 When thinking about what to include on a save the date, know that it doesn't have to specify the attire for the wedding. 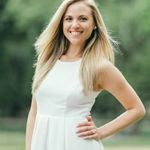 “If a guest desperately needs to know that information before receiving a formal invitation (assuming that the dress code isn't listed on your wedding website), then all they have to do is ask you,” says Weinberg. Keenan recommends letting guests know that they will be getting a formal invitation to your wedding. 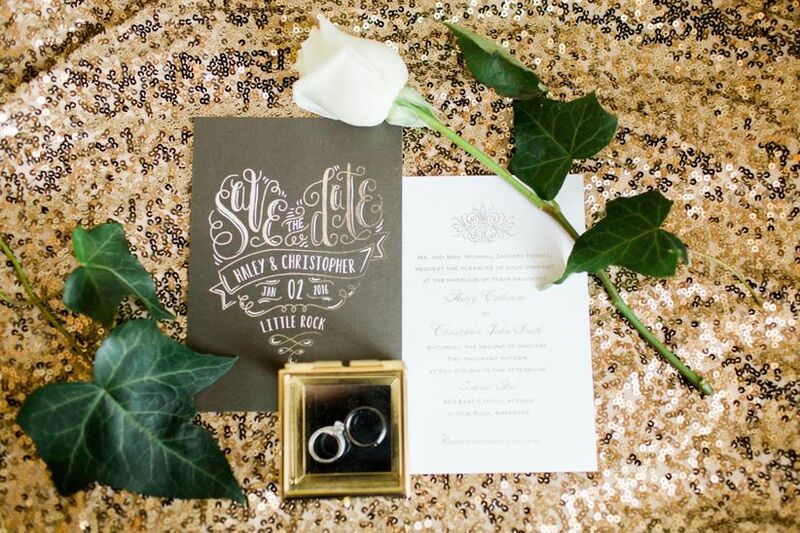 It is also good to have the save the dates addressed to exactly who you want to know about your wedding," she says. "Adding ‘and guest’ at this point will give time to additional parties that would not otherwise receive the save the date."